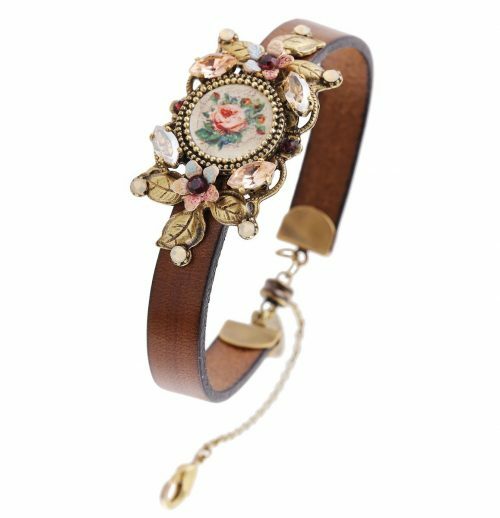 Michal Negrin Bracelet 166460013 – exquisite vintage inspired bracelet with leather band and floral design decorated with Swarovski crystals. Hand made. Perfect addition to your bohemian vintage outfit.